Acute insomnia affects 25 percent of Americans each year. Anxiety, depression, chronic pain, and stress are all major contributors to insomnia. CBD Tincture for sleep may address underlying causes of insomnia and promote natural sleep for those who take it. 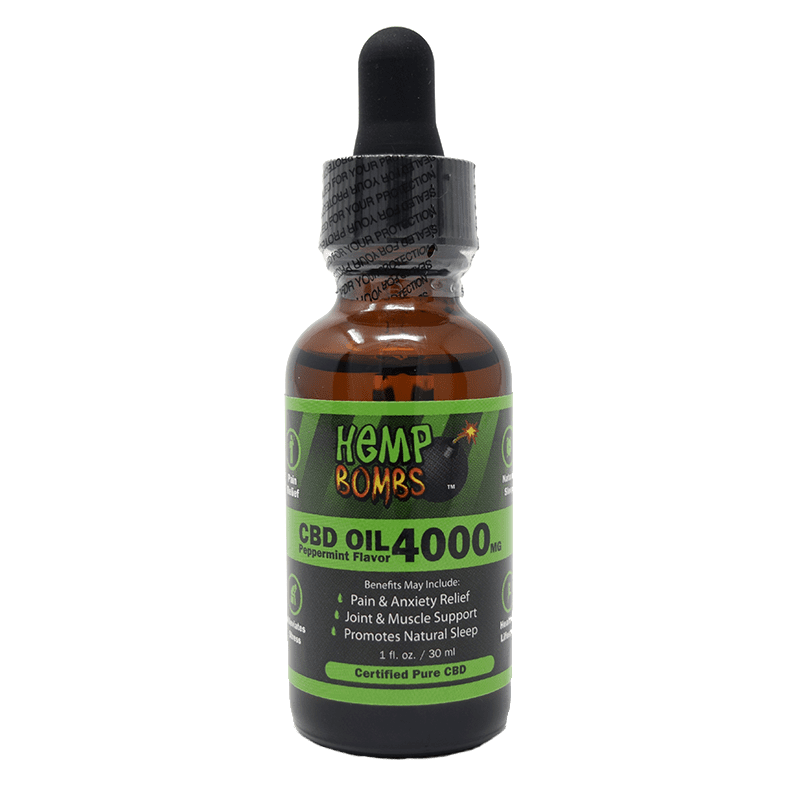 What is CBD Tincture for Sleep? CBD, or Cannabidiol, is a natural compound present in Hemp plants. 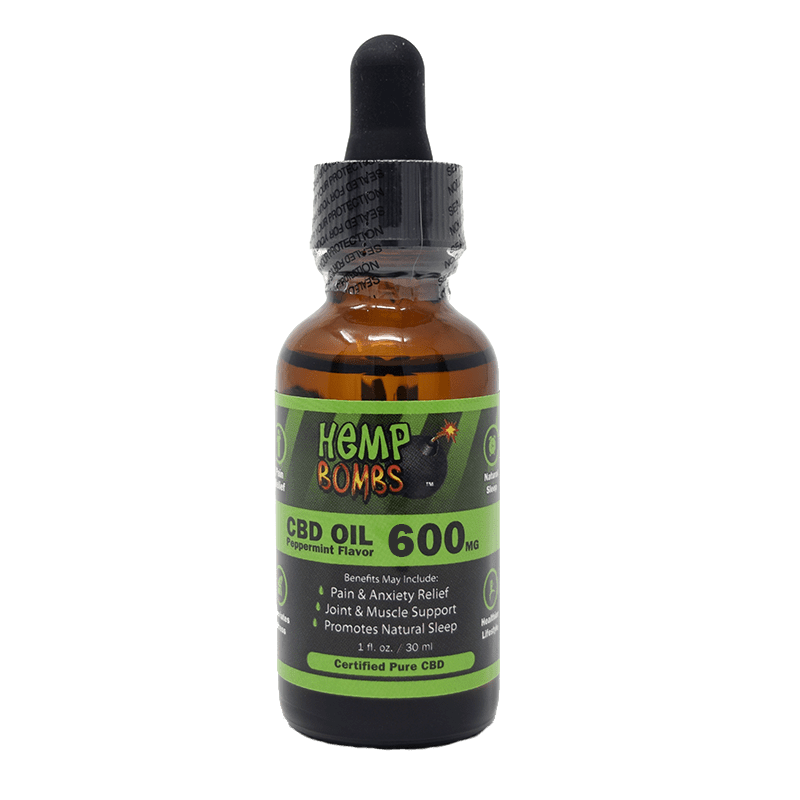 At Hemp Bombs we extract our CBD from superior grade, Industrial Hemp and isolate CBD in its purest form, free of other cannabinoids and harmful toxins. This CBD isolate is combined with MCT Oil and Grape Seed Oil resulting in Hemp Bombs CBD Tincture for sleep. All our products are THC-free, so they will not cause a “high” or failed drug test and are federally legal. CBD Tincture for sleep works in conjunction with the Endocannabinoid System (ECS), a regulatory system present in all mammals. The ECS is a network of receptors and molecules that regulate cell production, mood, pain, appetite and much more. Your body responds to both natural cannabinoids, or chemical compounds, produced by the body, and plant-derived cannabinoids like CBD. When you take CBD Tincture for sleep, your ECS can function more efficiently, allowing you to see widespread health results. 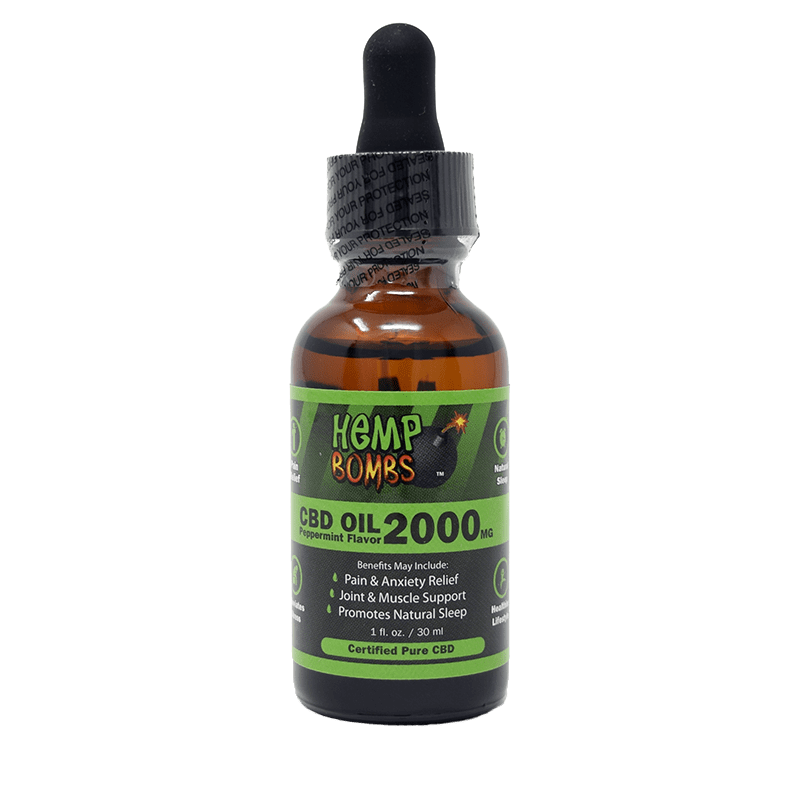 What Does CBD Tincture for Sleep Do? CBD Tincture for sleep provides health benefits to most areas of the body, promoting overall relaxation. The ECS increases CBD’s efficiency by making it a “jack of all trades” for natural health. By easing pain or addressing anxiety and depression, CBD may help you experience better sleep. Falling asleep and staying asleep can be difficult when pain is keeping you awake. CBD has anti-inflammatory properties that might reduce some of your pain. Upon entering the system, CBD binds to overactive immune cells to create caspase. Caspase influences immune cell death to reduce inflammation potentially easing inflammation-induced pain. The ECS contains several pain receptors all over the body. CBD Tincture for sleep produces more natural cannabinoids to help reduce pain signals transmitted to the brain. By reducing pain, CBD may help you wake up well-rested and energized. CBD Tincture for sleep may also reduce pain related to arthritis, migraine headaches, and multiple sclerosis. CBD Tincture for sleep promotes overall relaxation which can be useful for those with stress and anxiety. Studies show that CBD Oil may reduce general and situational anxiety in situations of public speaking and interaction. The release of stress and anxiety may allow you to sleep easier. When you take CBD, it influences the accumulation of anandamide, a “bliss” molecule, naturally enhancing your mood. Those with depression may experience a better mood and relief from their symptoms. These conditions can lead to secondary insomnia (insomnia that is a symptom of another condition), but CBD Tincture for sleep may curb this development and act as a natural sleep aid. The ECS plays a key role in sleep regulation, so CBD may provide balance to the sleep cycle. During REM sleep, we are in a paralyzed state known as REM atonia when our muscles become extremely relaxed. Those with PTSD and Parkinson’s may also have REM behavior disorders, and can experience trouble staying asleep because they are able to move freely and react to their dreams – possibly injuring themselves or their partners - instead of reaching REM atonia. By relaxing overactive muscles, CBD Tincture for sleep may alleviate the symptoms of sleep disorders and encourage quality sleep. How Do I Take CBD Tincture for Sleep? Everyone reacts differently to CBD, so the dosing is highly individualistic. 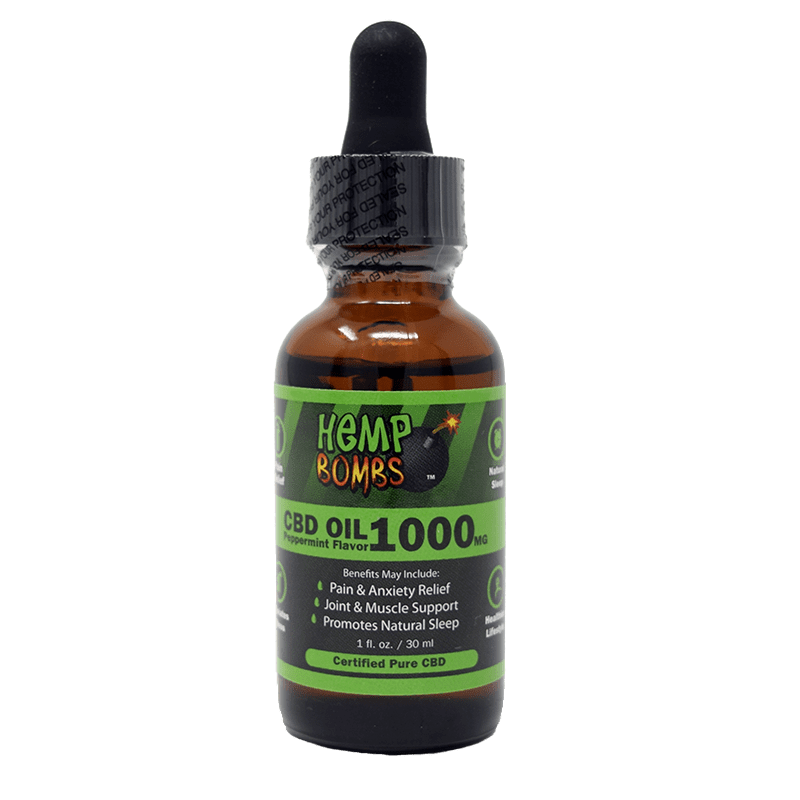 Hemp Bombs CBD Tincture is available in an array of potencies and two delicious flavors. Buying the correct potency allows you to take less CBD each time and to make the most of your product. For 300mg CBD Oil, we recommend placing half a dropper of product under your tongue and holding it there for about 1 minute before swallowing CBD Tincture is taken sublingually, or under the tongue, because the tissues in this area allow for quicker absorption. If you are taking CBD Tincture for sleep, try taking it before bed so that your body can relax into a good night’s sleep. CBD Tincture for sleep works by encouraging muscle relaxation to produce more restful sleep. It helps restore regularity to the sleep cycle for those who have trouble sleeping at night and remaining alert during the day. Tossing and turning all night? Shop our flavorful CBD Sleep Gummies enhanced with 5mg of melatonin to promote natural sleep.